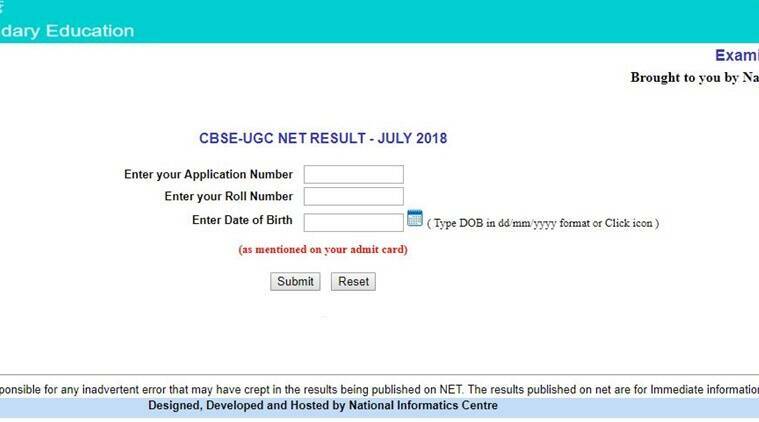 UGC NET July Result 2018 Highlights: All the candidates who had appeared for the examination can check the results through the official websites, cbsenet.nic.in. The exam was conducted on July 8 (Sunday) and re-exam on July 22. NTA will conduct UGC NET examinations twice from now onward. The online application process for the NET examination that will be conducted in December will be commenced on September 1. Step 4: Results will appear on the screen. To check results, one has to visit the official website, cbsenet.nic.in. Then click on the result link, and enter your log in id and password. Results will be appeared on the screen. Download it, and take a print out for further reference. UGC NET July Result 2018 Highlights: All the candidates who had appeared for the examination can check the results through the official websites, cbsenet.nic.in. UGC NET July Result 2018 Highlights: A total of 11,48,235 candidates had registered for the exam this year. From next time onwards, the National Testing Agency (NTA) will be conducting the UGC NET. As per the UGC policy, the 6 per cent of the candidates appeared in both the papers who obtain minimum qualifying marks in aggregate of both papers will be declared NET qualified. They will then be issued certificates by UGC.